A professional development series designed specifically for adjunct faculty and administrators. You have spent years passionately creating your lectures and you do not want to change a thing. Or, as you start your teaching career, you reflect on and consider replicating what your classroom experience was like as a student, back when you simply listened to lectures. However, with traditional lecturing, students often retain very little of what they hear. What can you do to cover this material while being careful not to create a boring classroom? 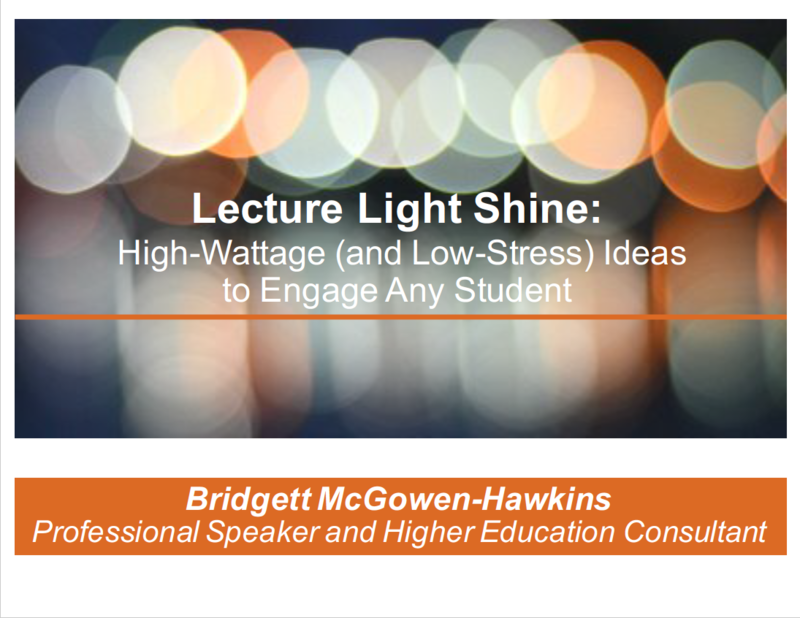 During this interactive session, learn how you can deliver lectures in a manner that is not only informative, but that also results in engaged and illuminated students.